**SCA PERFORMANCE RAPTOR**4 INCH FABTECH LIFT**ADDICTIVE DESERT FRONT AND REAR BUMPERS**40 INCH LIGHT BAR**20 INCH FUEL RIMS** The current Ewalds Venus Ford *EVERYONE QUALIFIES* price is $95,828. With an original MSRP of $70,985 this 2019 Ford F-150 Raptor has an immediate dealer savings of $-24,843. This vehicle includes Ewald's exclusive 20 yr/ 200,000 mile Limited Powertrain Warranty. You may also qualify for additional incentives like military rebate or recent college graduate. WE'LL MEET OR BEAT ANY ADVERTISED OFFER ON ANY NEW VEHICLE WE SELL OR WE WILL GIVE YOU $500. We'll pay more for your trade! Ewald Automotive, we're minutes from anywhere This 2019 Ford F-150 Raptor features a Agate Black exterior with a Black Lthr interior. Factory equipped with an impressive 3.5 liter gtdi, and an with four wheel drive. DESIRABLE FEATURES: *4WD*, *AWD*, **REMOTE START**STEERING WHEEL CONTROLS**SATELLITE RADIO**POWER WINDOWS**, *BLUETOOTH*, **FOG LIGHTS**TINTED GLASS**KEYLESS ENTRY**MP3 PLAYER JACK**, and an **AUX AUDIO** Your 2019 Ford F-150 Raptor is one of 82 other trucks like this in stock you will find available to test drive at our new truck showroom in Cudahy, WI. TECHNOLOGY FEATURES: This Ford F-150 for sale includes WiFi Hotspot Capable, an Onboard Hands-Free Communications System, an Anti Theft System, Steering Wheel Controls, a Electronic Messaging Assistance, and an AM/FM Stereo. Stock # C12074 is priced below retail market value! 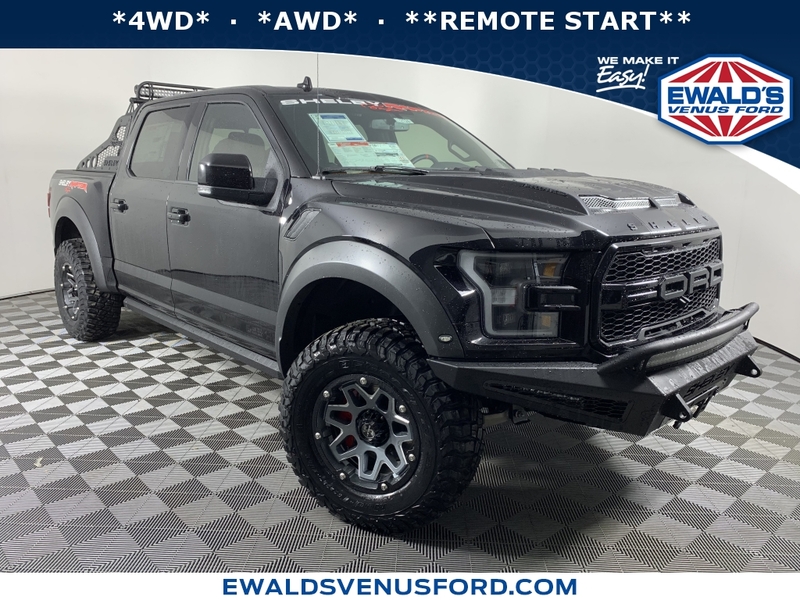 Ewalds Venus Ford New Ford Light Duty, Heavy Duty and Commercial Truck Super center has this 2019 Ford F-150 Raptor competitively priced for a fast sale today. With Ewalds Venus Ford exclusive MAX Allowance® vehicle purchase or trade in program you can use your smartphone to get a Considerate Cash Offer™ and receive a check for your current vehicle today. Ewalds Venus Ford always pays trade in prospects and for sale by owner vehicle sellers in Southern Wisconsin MAX Allowance® for their private seller vehicles. Even if you don’t plan to purchase this 2019 Ford F-150 Raptor from us; we want to buy your vehicle for MAX Allowance®. 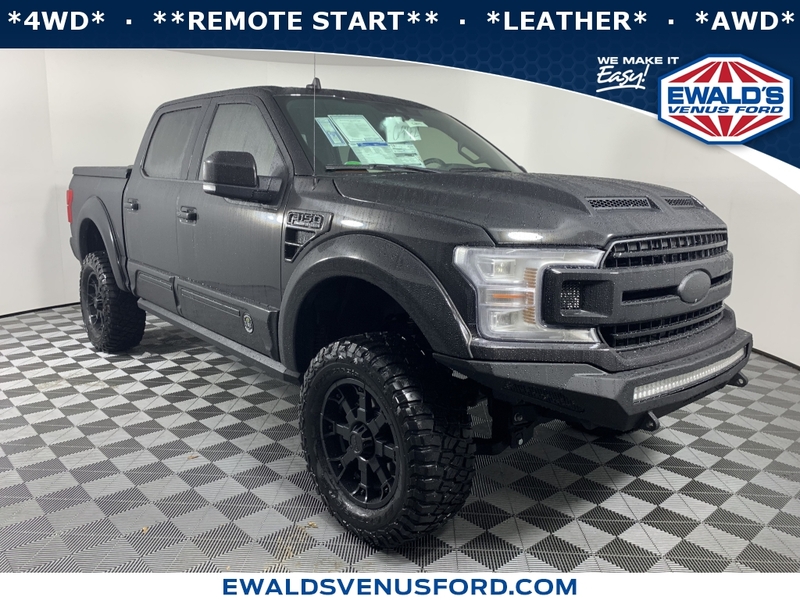 Our Ford Dealership: Call Ewalds Venus Ford today at (414) 236-7442 to schedule your test drive of this 2019 Ford F-150 Raptor! Ewalds Venus Ford features a wide selection of new Ford trucks for sale near Milwaukee.